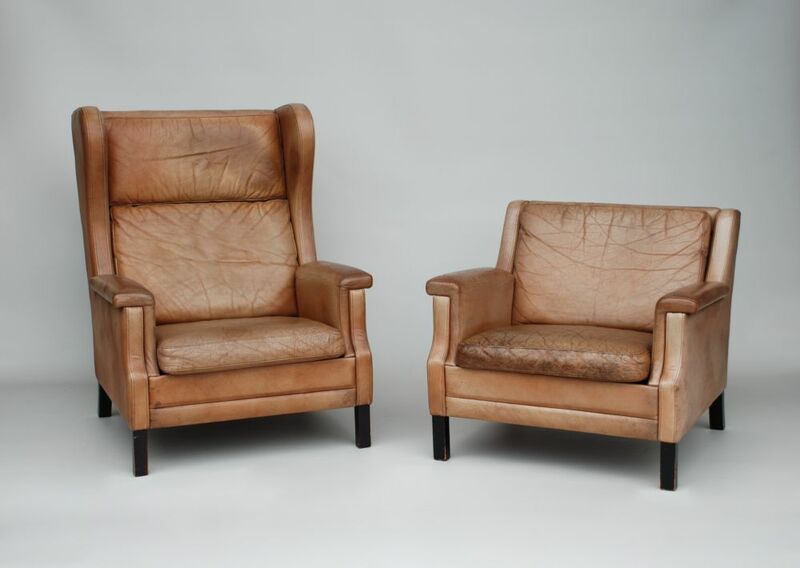 These two armchairs were made in Denmark, probably in the 1970s. 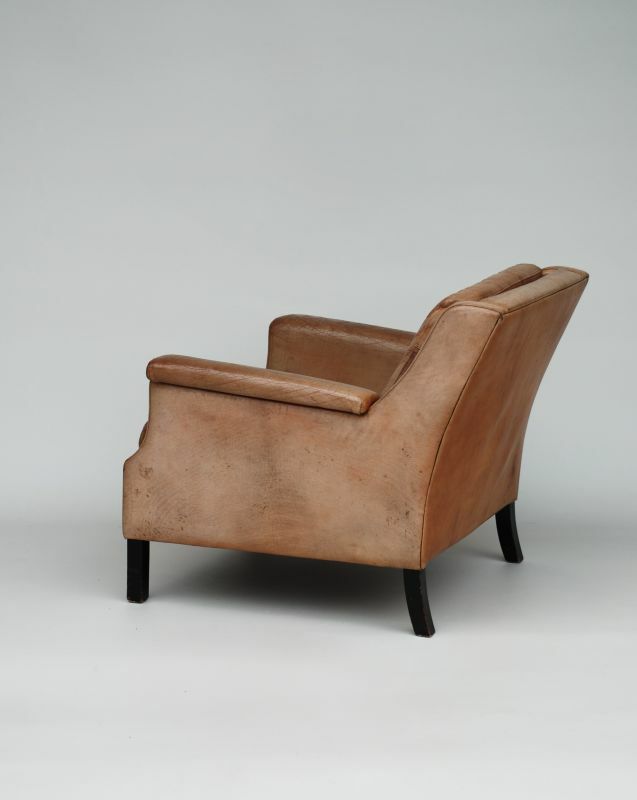 The leather is a light tan ochre colour. They have that wonderful well used, lived in look, that has developed a fantastic patination. The pair have a great look: modern and very comfortable, the type you can slump down into. 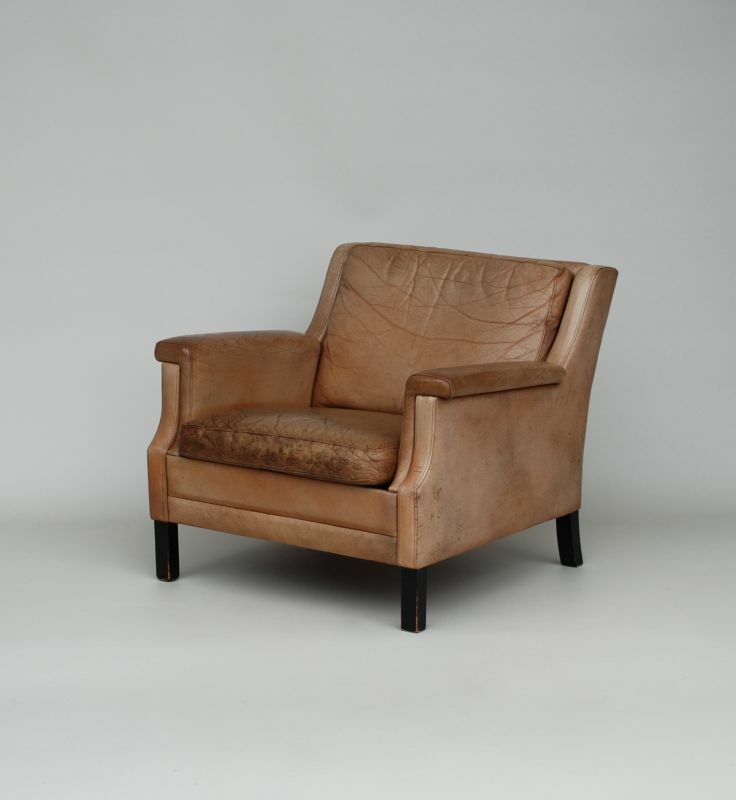 The armchair is 80 cm wide, 82 cm deep and 69 cm high. 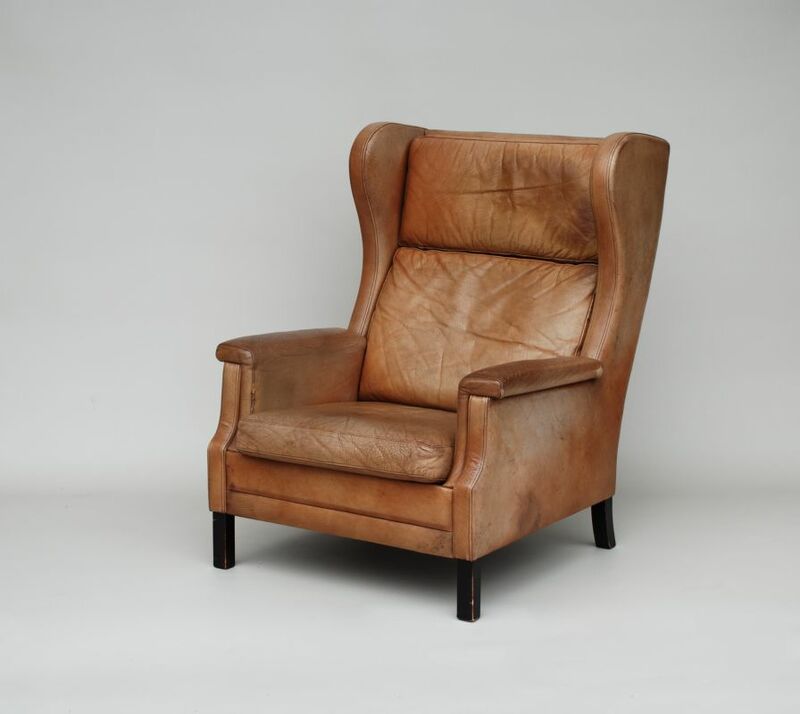 The high back armchair is 80 cm wide, 90 cm deep and 100 cm high. The seats are 38 cm high. 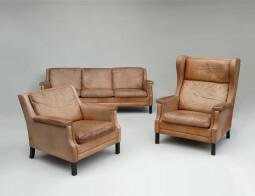 The last photo shows a sofa that came with the chairs, it is also for sale on a separate page. Please visit our eBay shop, where you will find other pieces of modernist and antique furniture. The armchair is 80 cm wide, 82 cm deep and 69 cm high. The high back armchair is 80 cm wide, 90 cm deep and 100 cm high. 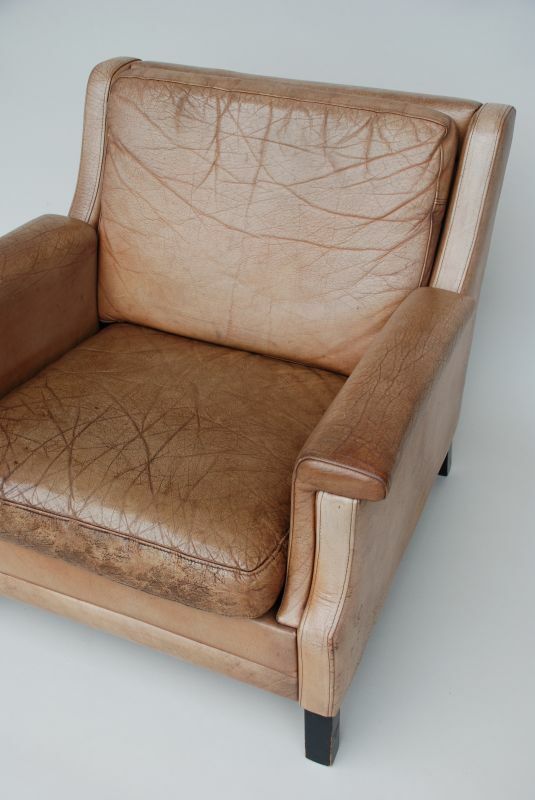 The seats are 38 cm high.